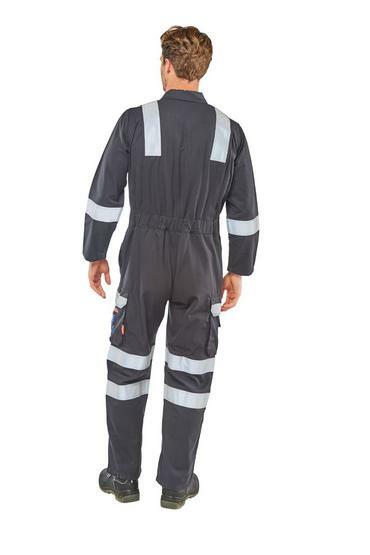 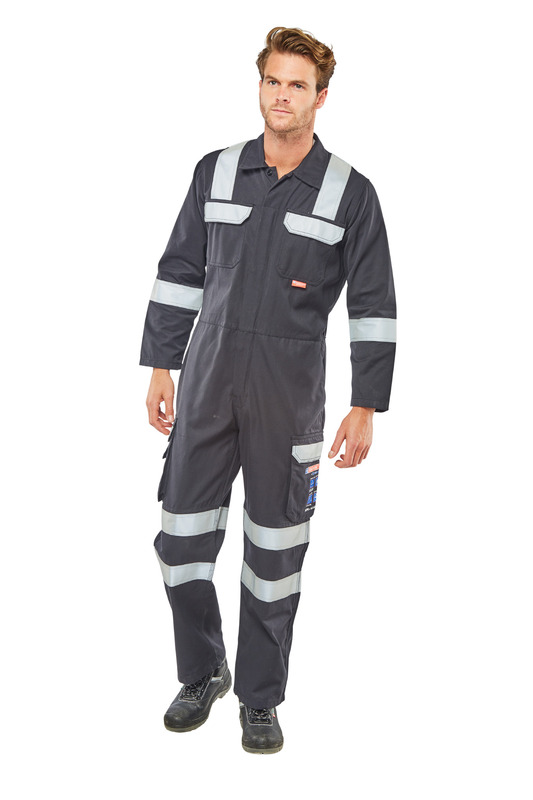 Fire retardant, Anti-static, ARC Flash coverall. 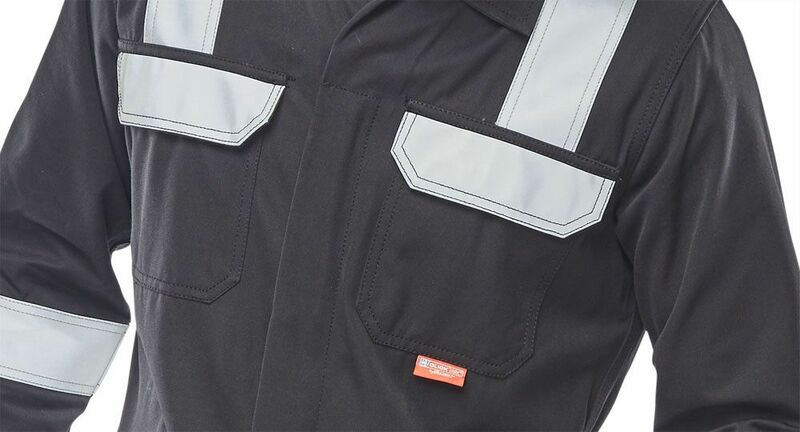 Rear patch pocket with Velcro closure flap. Large bellows pocket to each leg with Velcro closure flap. 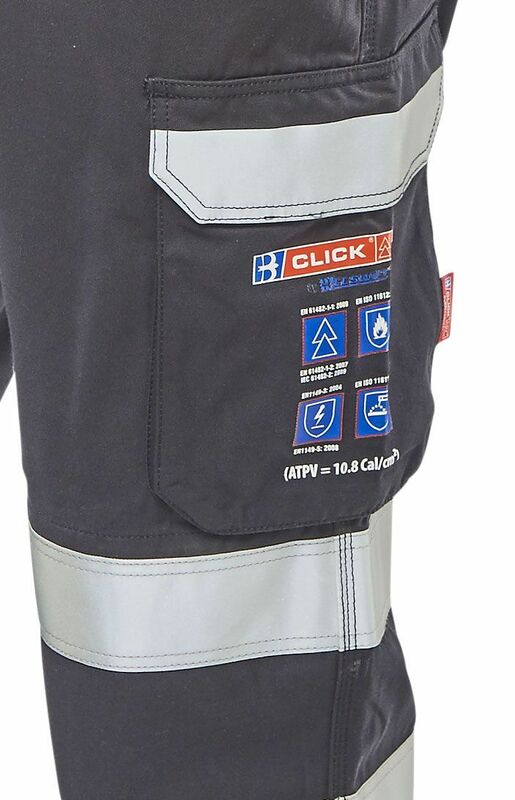 Right leg mobile phone pocket with Velcro closure flap.